The ultimate Cybertron warrior, born of the "Super-God Combination" of Super Ginrai and Godbomber, whom it took all the power of the Cybertron space warrior Grand Maximus and the Cybertrons on Earth to build. 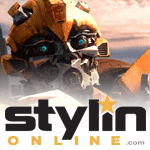 Abilities: The Cybertron's most powerful warrior ever, born of the "Super-God Combination" of Super Ginrai and Godbomber. 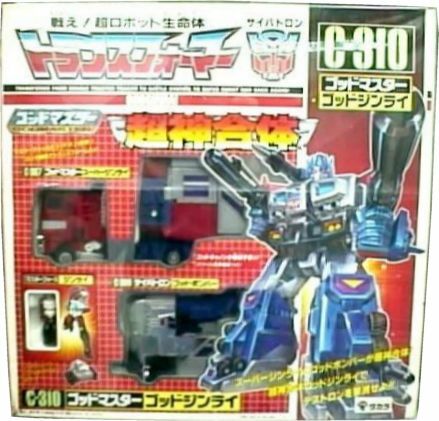 His abilities are five times greater than Super Ginrai's. Final Attack: The "Super-Psionic God Fire Guts"--Concentrating his spirit, he transforms his body into an enormous fireball and attacks his enemies. This is the ultimate single-strike final attack. 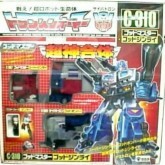 Giftset release of C-307 Super Ginrai and C-309 Godbomber.